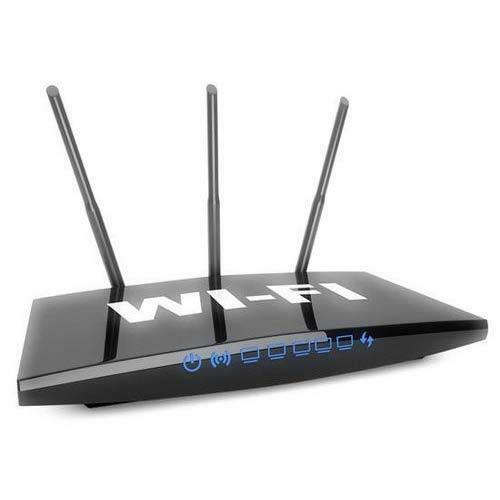 Our organization has gain lots of popularity in the market creating world class collection of Wifi Router. They are available at lowest rates. Established in the year 2012, we, Maa Shakti Computers, are a highly acclaimed wholesale trader of premium quality Anti Virus CD, Computer CPU, DVD Writer, AHD DVR, Graphic Card, Computer Hard Disk, Computer Keyboard, Branded Laptop and LED Monitor etc. The products offered by us are manufactured using premium quality components and raw materials at our vendor’s end in compliance with industrial quality standards. Our products are well known for their user friendly designs, convenient installation and lower needs for regular maintenance and servicing. These are highly demanded in IT and computer peripheral industries. Our products are available to clients in different specifications of shape, size and design at budget friendly prices. The quality of our products is stringently checked by a team of experienced auditors in order to ensure that clients only get the best products from us consistently. Our products are known for their quality as well as pricing. Our professionals work together to ensure that the expectations of the clients are surpassed at all times.